Hi guys! As I don’t really have time to blog daily or once per every nail art done, I’ll try to update at least once per week! Another pic. Her nails are so long and pretty right??! 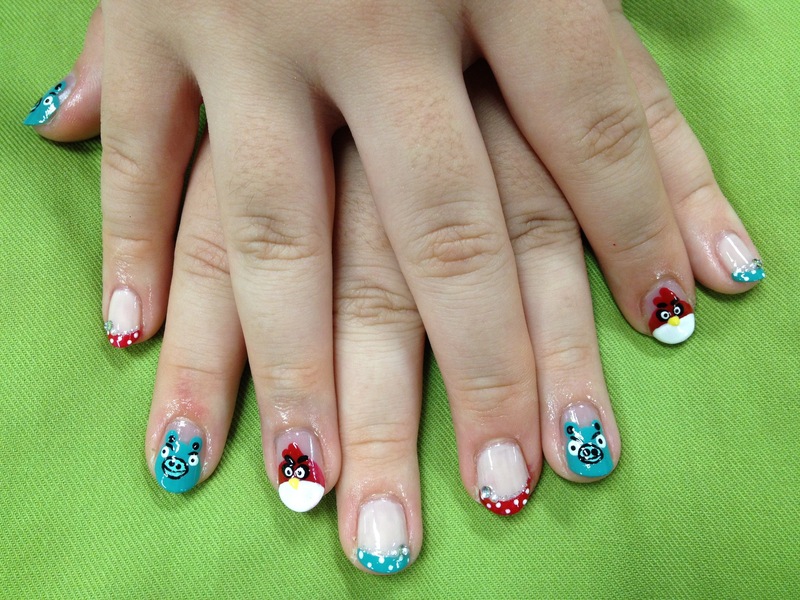 Adora requested for angry bird nails ever since I started offering manicure services. Saw this video from cutepolish previously so I had it replicated. Here’s how it looked like! This is my first time blogging using my iPhone, hope the alignment wouldn’t turn out to be weird!